So I read in a couple different manuals that the rear wheel bearing in a miata is not serviceable by the home mechanic. I disagree. Here is a little DIY without even pulling it off the car. There are different sides and different cars in the photos because I didn’t think of doing a blog post until I was halfway through the last one. I had to go back and find whatever photos I took of previous jobs. The last one I did on the car, with a trip to the parts store, in about 2.5 hours. 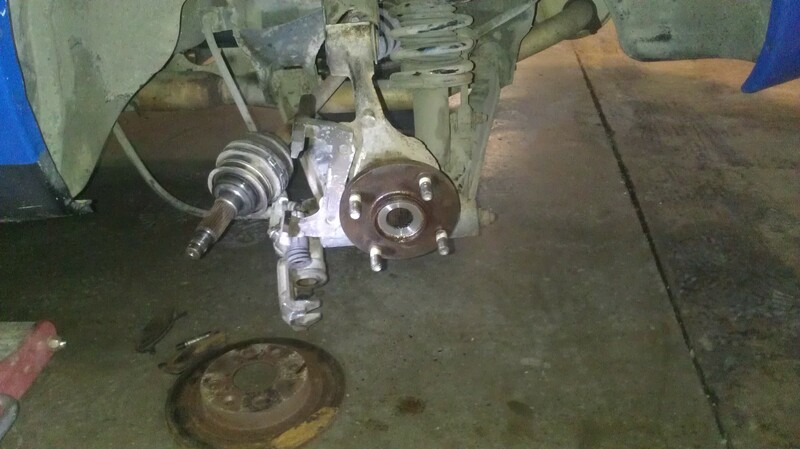 If you can get the rear hub off of the car this is the easy way to do it. That is not usually the case. 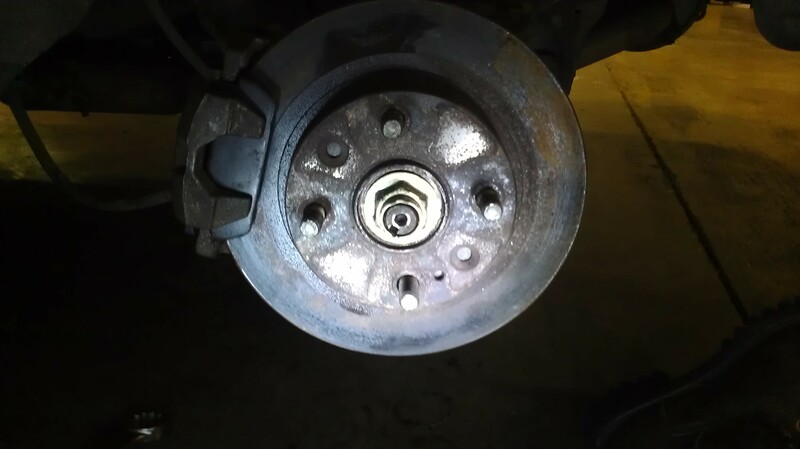 The bolt that passes through this into the lower control arm is exposed to the elements and is usually hopelessly frozen in place. Everything out of the way to start. Brake dust sheild removed on this side. Pull the bolt to the upper control arm, then you can pull the hub assy out toward you and knock the axle out without damaging it. 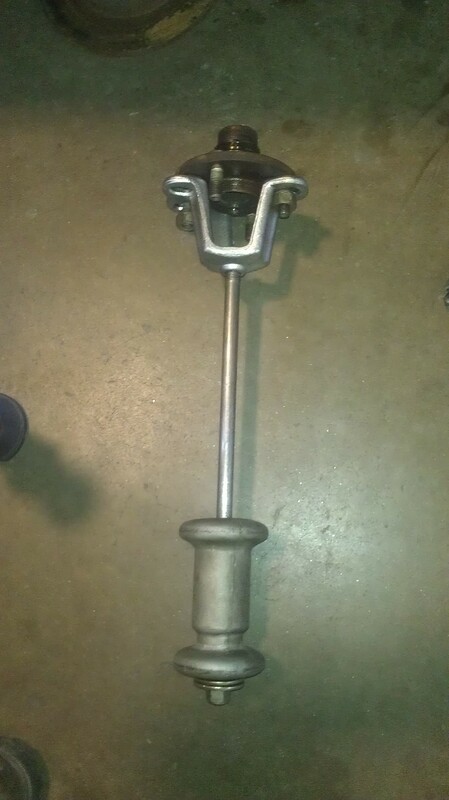 Borrowed Front Wheel Drive axle remover and slide hammer. 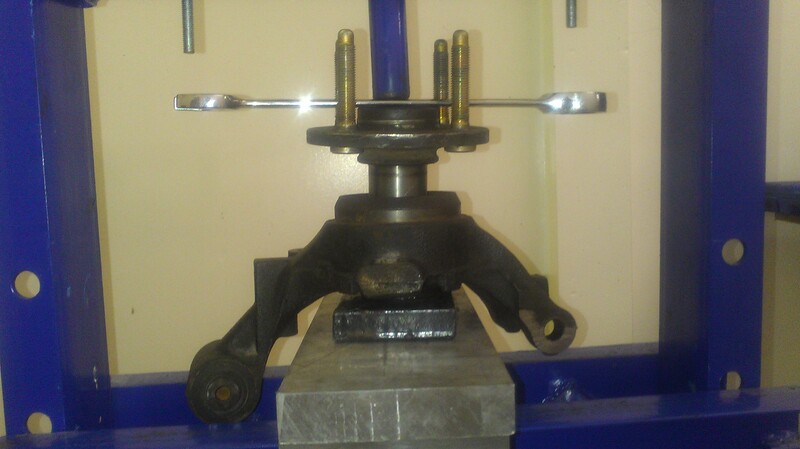 Take the bolt out of the puller, install the slide hammer, bolt that to the hub and yank it off. Now this is what you’ll see. There is a dust seal to remove in the back and a snap ring to remove in the front. 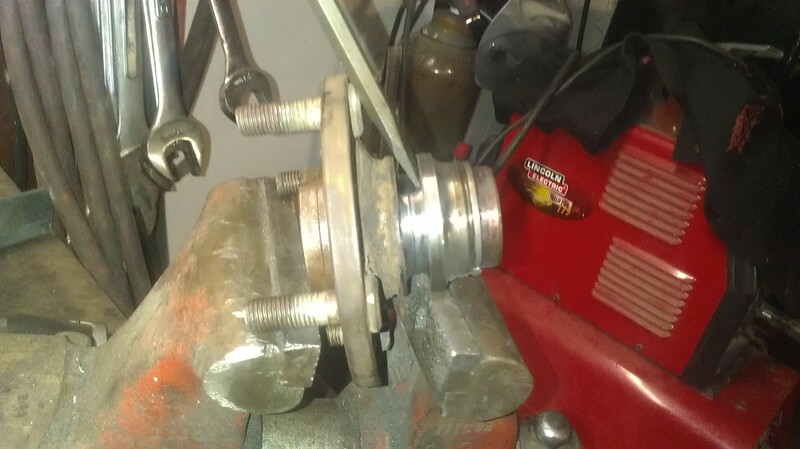 Once they are out draw the wheelbearing to the outside with a borrowed rear wheel bearing puller or some all-thread and whatever will catch the bearing. On the inside there is a big lip you have to miss our you won’t pull the bearing. Be aware of the races you are pulling on, don’t punch the center out of your bearing. Get the outer race off. Drive the new bearing into the hub with a socket or something that only puts pressure on the outside. You may need to use the tool that you pulled the bearing, just reversed. Re-install the c-clip and inner dust seal. 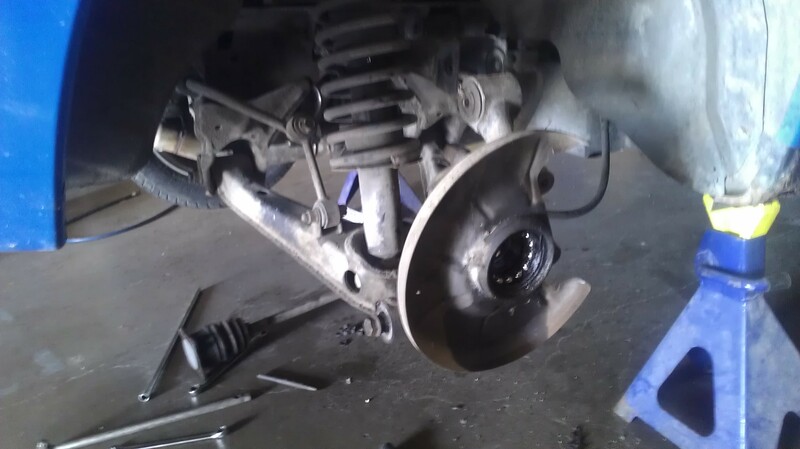 Put the axle nut on, rotor and caliper back on. You are done!